DLP Planning Ltd. led the preparation of an outline planning application on behalf of Jaynic Suffolk Park Ltd. for the provision of about 2 million square feet of employment space, as part of a strategic extension to Suffolk Business Park. The scheme will provide significant economic growth opportunities for Bury St Edmunds and an estimated 5,000 new jobs. 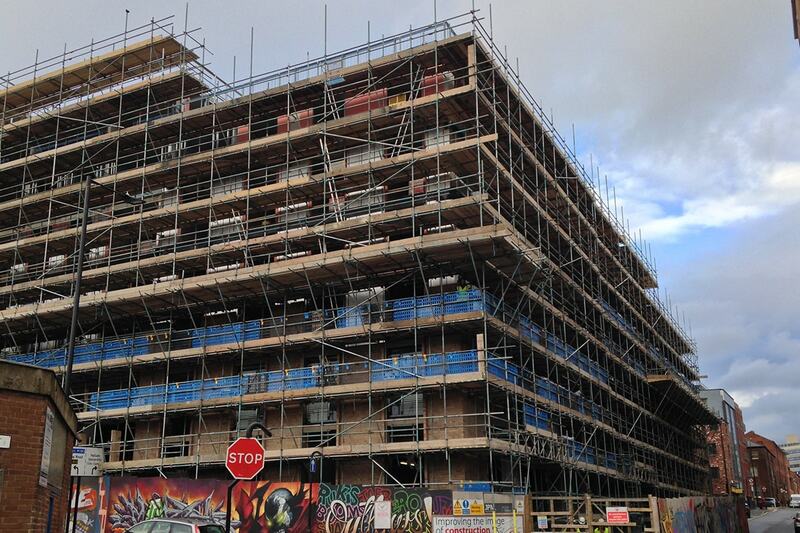 The site forms part of a wider allocation in the Council’s development plan for strategic employment provision. This was linked to the construction of a new Eastern Relief Road for Bury St Edmunds (now completed) and the development of 500 new homes and a secondary school. The outline application to create a mix of B1 and B8 uses with infrastructure including an internal distributor road was approved at committee in April 2017. Subsequently DLP Planning Ltd has been retained by our client to discharge the planning conditions and to seek reserved matters approvals as appropriate. 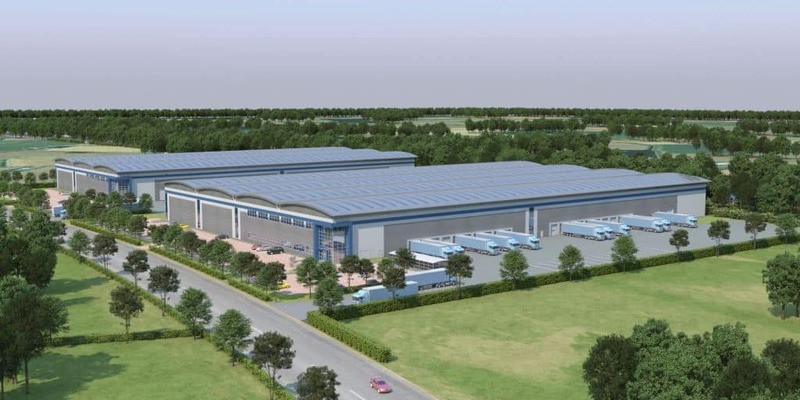 Our clients have now constructed the distributor road and two speculative warehouses of 125,000ft2 and 150,000ft2 respectively, for which DLP Planning Ltd led the application and conditions discharge processes. Other development on the site, part of which has Enterprise Zone status includes a new global headquarters of Treatt PLC; an international manufacturer and distributor of flavour and fragrance ingredients worldwide. Overall, the project has required the input and project management of a number of technical consultants to address a range of matters including heritage assets, landscape and drainage constraints. The outline application was accompanied by an Environmental Statement collated and published by DLP Planning Ltd as well as a range of scheme drawings, technical reports and a supporting Planning Statement. 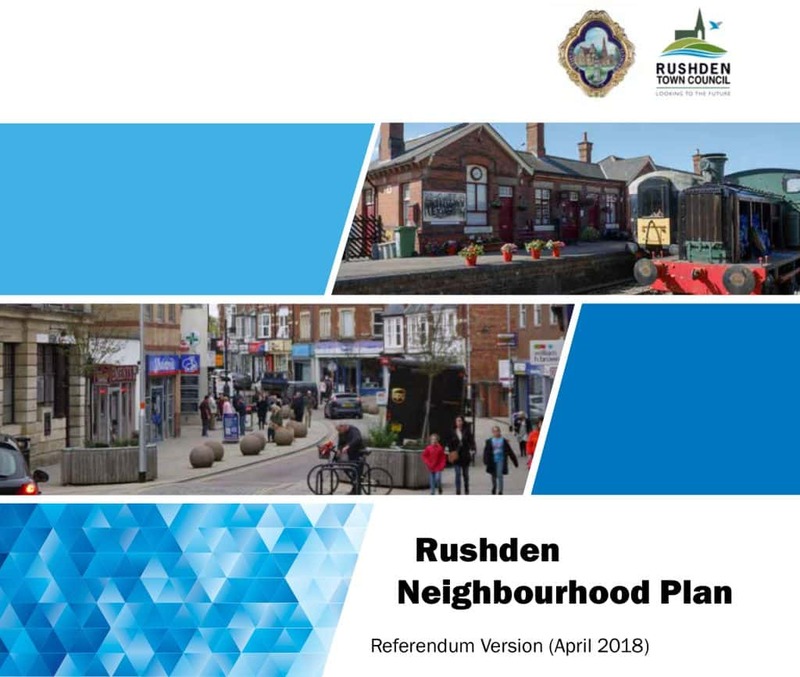 Rushden is identified in the North Northamptonshire Joint Core Strategy as a ‘Growth Town’ and is required to deliver some 3,285 dwellings by 2031. A key feature of the plan is to allocate sites for housing, but also set out policies to help safeguard and enhance the future of the market town. Instructed by Rushden Town Council, DLP was involved in all aspects of the plan making process. This included evidence gathering, SEA screening, undertaking a ‘Call for Sites’ and targeted land searches with recommendations on potential allocations and drafting the plan, supporting documents and proposals map. DLP were also closely involved with the Public Exhibition, analysing the responses received and preparing a Consultation Statement and ‘Basic Conditions Statement’ to show how the plan meets the tests of national policy. Throughout the process DLP worked closely with the Town Council maintaining regular contact with Members and the Planning Group to offer advice on legislative requirements and the practical application of policy. The Neighbourhood Plan has now been ‘made’ following a Referendum in which 85% of the votes cast were in favour. DLP Planning Limited has secured planning permission on behalf of Clearstone Energy, for a gas-powered electricity generator and related infrastructure on land at Worset Lane, Hartlepool. It is one of several ‘peaking power’ generators for which DLP has gained planning permission on behalf of our client. The approved development comprises a purpose-built structure containing 11 gas engine generation sets that will generate approximately 49.5MW. The building was designed to visually suit an agricultural setting with robust landscaping. Whilst functional requirements to connect to both the gas supply and electricity distribution networks dictate siting, a number of other factors were considered as part of the initial scoping process including national and local planning policy, visual amenity, landscape character and proximity to sensitive uses. Those sites which were considered to have planning merit were then taken forward to a pre-application enquiry with the Local Planning Authority to explore if these development proposals could be positively promoted through the planning process. DLP Planning Limited successfully secured planning and listed building consent for a single storey rear extension to Oshwal House, a Grade II Listed Building in the Green Belt, on behalfof the Oshwal Association of the UK (OAUK). The OAUK are a registered charity who provide community support for all members of the Oshwal Community and Oshwal House is the headquarters of the Association which has a number of community centres in London the Midlands and the North West. It is also the spiritual centre of the Association and the hub of its educational, social and religious activities. As such the Centre welcomes visitors from all religious, ethnic and cultural backgrounds and the purpose of the extension which has now been implemented is to enable extended hospitality facilities to be offered to the Association’s visitors. The extension accommodates an enlarged dining room for staff, visitors and guests to the headquarters of the Oshwal Association of the UK (OAUK). The previous facility within Oshwal House was too small and could only accommodate a small number of guests. The extension was sensitively designed by Saloria Architects to preserve the fabric and historic interest of the original building, being mindful of the Green Belt location, whilst at the same time providing the improved catering and entertainment facilities required by the OAUK. 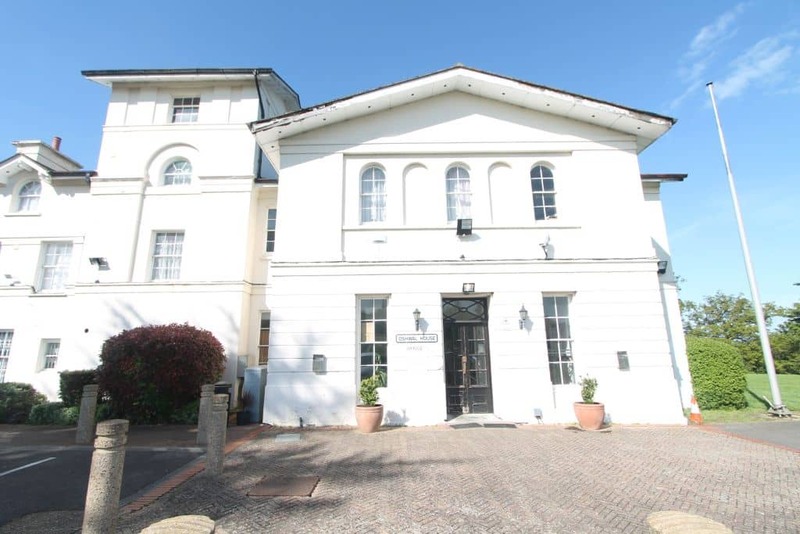 The scheme was constructed in conjunction with the refurbishment of the house including the repair and replacement of the stucco and replacement of windows for which Listed Building Consent was also obtained. The importance of the site and the central role that Oshwal House plays as part of the Oshwal Community was a key argument in securing this planning permission. The Council recognised that as the headquarters of the OAUK it is of great importance to a national community and plays an important role in hosting events and meetings for both members and visitors of all religious denominations. The Council were also happy that the size of the proposed extension would not be a disproportionate addition to the original building. DLP Planning Limited successfully secured planning permission for the construction of a pronaos (area at the front of the temple) to the existing Derasar which is the first and also the largest Shikharbandhi Derasar in Europe – a Shikharbandhi Derasar being characterised by its dome. 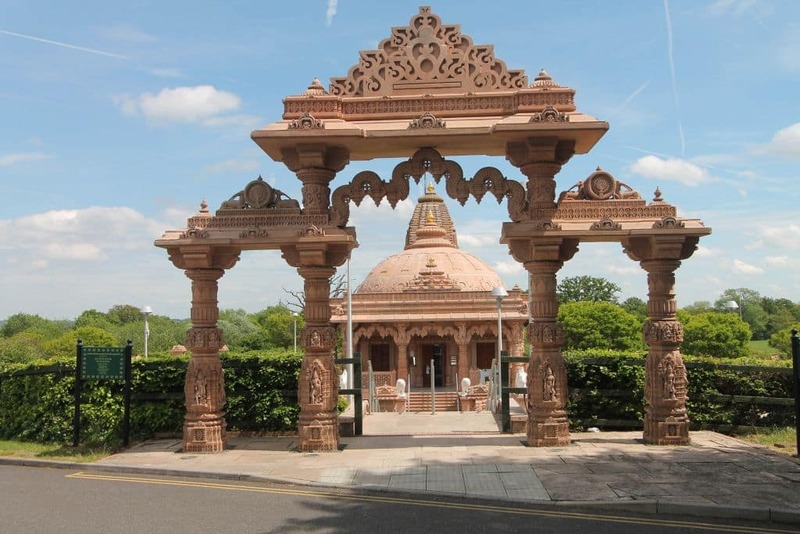 The Oshwal Centre is located in the Green Belt near Potters Bar and is the headquarters of the Oshwal Association of the UK (OAUK). The Derasar is an important place of worship for all those who practice Jainism. All visitors to the temple are required to pause at its entrance and to remove their shoes – and to retrieve them on leaving. The traditional design didn’t provide any protection from the English weather and so an extension fully enclosed by glazed screens was proposed in order to enclose the space and to provide shelter from the elements. The work has now been completed. The Derasar, or temple, at the Oshwal Centre is the focus for all those who practice Jainism, whether part of the Oshwal community or not. It is of national and international importance as a place of worship. The Derasar, whose traditional design originates from India, does not fully account for the English climate. As such, the extension protects visitors when they are preparing to enter the building. The Council recognised the religious importance of the site and also the role that the Derasar plays in the life of the Oshwal community. DLP Planning Ltd led on the preparation of a full detailed planning application on behalf of City Estates for the redevelopment of the former Gatecrasher Night Club site in Sheffield. The site was previously destroyed by a fire and had remained as a derelict eyesore upon the cityscape for a number of years. 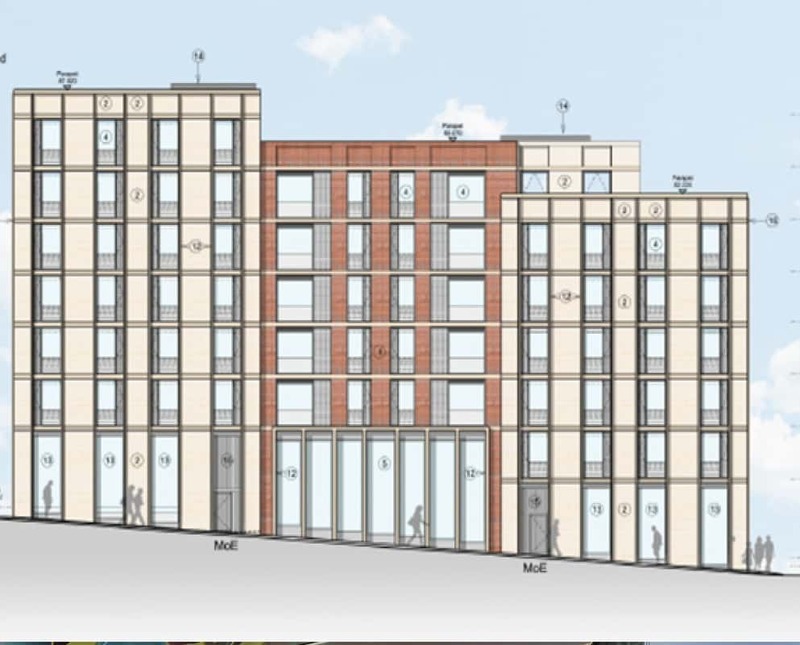 The proposed mixed use development on Arundel Street comprised 38 cluster flats and 90 studio flats with ancillary facilities, retail/commercial units (A1, A2, A3, A4 and B1 uses) at the lower ground and ground floor level as well as a landscaped courtyard. In a prime location in the Cultural Industries Quarter and near Sheffield Hallam University, the development, when complete, will regenerate the cleared site and a neighbouring empty factory, enhancing the public realm and contribute towards much needed housing provision in the city centre. 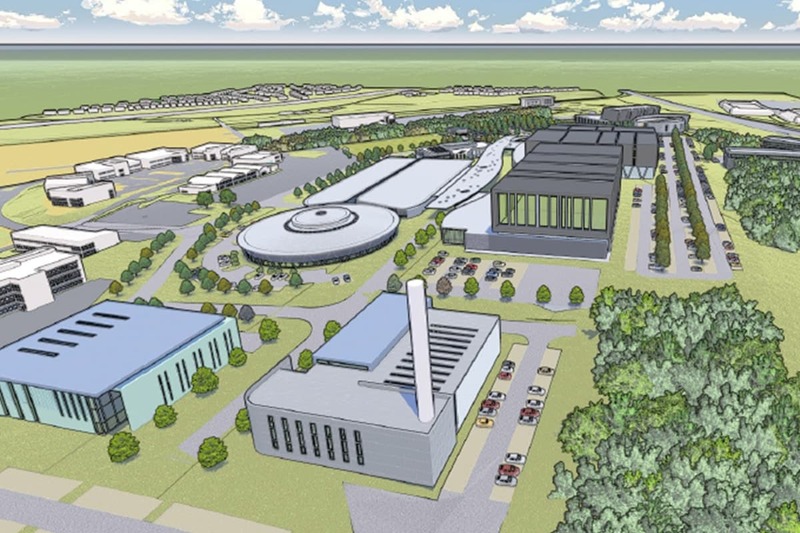 DLP Planning Ltd was commissioned to advise on the preparation of an application for the creation of an Advanced Manufacturing and Research Campus (AMRC2) on 18.6ha of land off the Sheffield Parkway with the potential to provide 100,000m2 of floorspace. The outline application was subject to Environmental Impact Assessment (EIA), and an Environmental Statement was prepared to support the planning application. 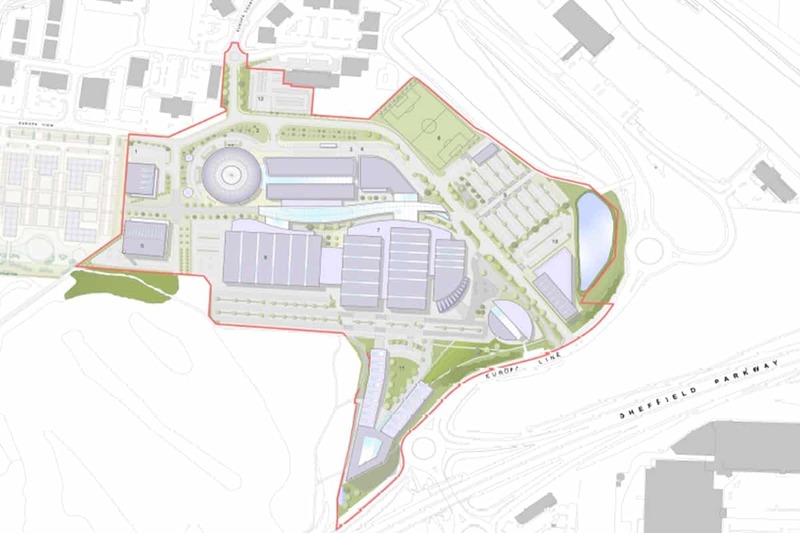 The plans were given unanimous backing by Sheffield City Council’s Planning Committee in October 2015, subject to a referral to the Secretary of State due to the proposals representing a departure from the Development Plan. Consideration also had to be given to the proposed HS2 route in this location to serve Meadowhall Station. The development proposals had support from global, regional and local interests including Bruce Katz, of the Washington DC based Brookings Institution. The Campus is seen as the anchor for the Sheffield–Rotherham Advanced Manufacturing and Innovation District, which is being promoted as part of the Sheffield City Region investment in world-leading advanced manufacturing research. This scheme sought to create a wide range of accommodation types and supporting facilities in a central community area and allowed for improved management of the student population and an enhancement to the existing available facilities through the provision of a central hub building. DLP Planning Ltd oversaw an Environmental Impact Assessment (EIA) and Planning Statement in support of a full detailed planning application. The scheme aimed to replace a number of student houses owned by the University in the area as well as other halls of residence in more remote locations away from the University. The proposal comprised the development of some 3,700 new bed spaces while retaining 1,300 within existing accommodation, creating a 5,000 bed Student Village. The site falls within the Broomhill and adjacent Endcliffe Conservation Areas. The northern part of the site also fell within an Area of Special Character including two Listed Buildings at Crewe Hall and its associated stable block. However, it was demonstrated that neither of the buildings were directly affected by the proposed development. The area had been associated with student residences for the University of Sheffield for a considerable period of time, and the proposals were a significant improvement in the appearance of the existing built form. The replacement buildings varied between two and six storeys in height, and included serpentine blocks which made use of sloping land, to avoid excessive height. St George’s Campus is located at the heart of the University of Sheffield’s city campus. This scheme required an application for full planning permission and Listed Building Consent for the demolition of workshops and labs, alterations, improvements and repairs to the Sir Frederick Mappin Building and the Central Wing to provide academic and administrative space and a glazed atrium to form a new entrance to St. George’s Campus from Portobello Street. The Mappin Building and associated railings are Grade II Listed Building and were added to the heritage list in 1973. The site is situated within the St George’s Quarter of the City Centre in Sheffield adjacent to the Grade II Listed St George’s Church. DLP Planning Ltd was pivotal in negotiating a position with the Council to produce a viable form of development on a site which is Grade II Listed. Full planning permission and Listed Building Consent was granted with unanimous support from Council members. The proposal satisfied the need to upgrade the teaching facilities and meet the requirements for the University of Sheffield’s growing Engineering Faculty. The overall public benefits of the scheme and the improvements to the function of the buildings, as well as the character and appearance of the new-build elements, were considered to comply with the requirements set out in local and national planning policy. This project comprised the preparation of full detailed and Listed Building planning applications and Scheduled Ancient Monument (SAM) consent for the redevelopment and extension of an existing hotel to provide additional facilities, accommodation and leisure space to enable the hotel to provide enhanced services for weddings and corporate events. The planning application comprised the demolition and replacement of a number of outlying and outdated structures with bespoke modern kitchens and function rooms. The site provided a number of significant planning constraints, including its location within the Green Belt, a 16th century Listed Building and the remains of an Iron Age hill fort. Extensive pre-application discussions were held with St Albans City and District Council and Historic England, with the scheme being judged to improve the setting of the Listed Building and the SAM, in addition to providing significant economic benefits. Notwithstanding this, the Case Officer recommended refusal on the grounds that the development represented inappropriate development in the Green Belt. Nevertheless, Council members rejected the Officer’s advice and unanimously resolved to approve the applications, agreeing that that there would be no harm to the openness of the Green Belt.